Welcome to PartnerOn with Tech Data Australia! We are very excited to offer you a new marketing program to support and accelerate your business. 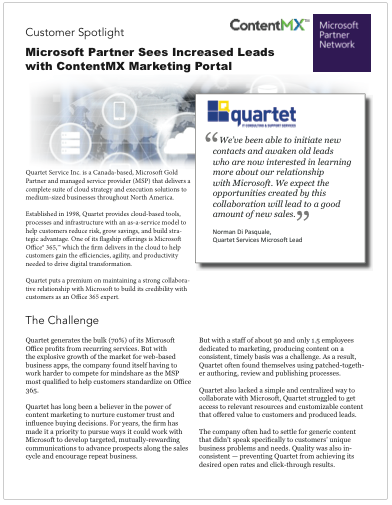 Microsoft has built this program in collaboration with ContentMX, a team that has worked closely with partners in the channel for almost 20 years.